A pair of 3-7 teams go at it Monday night in the final game of the week, as the Niners head to Arizona to take on the Cardinals in a prime-time battle. It’s been a tough season for the Niners, who who haven’t been to the playoffs since 2002. They started the year with five consecutive losses and are coming off last Sunday’s 21-0 defeat to Tampa Bay. They managed a season-low 189 yards and 11 first downs – two via penalties – in getting shut out at home for the first time since 1977. The Cards haven’t been much better, they were blown out 31-13 last week in Kansas City, their fifth consecutive defeat. The Cardinals got their only touchdown, a 3-yard catch by Larry Fitzgerald, on the final play of the game. This could be the last gasp for both teams, as they are both two games back in the NFC West of the Seahawks, and if the Hawks can beat the Chiefs, the loser of this game might as well start looking ahead to the draft as they will be three out with just five games left. Troy Smith will start for the Niners at QB, but the key could be Frank Gore, who last week finished with a season-low 23 yards on 12 attempts after averaging 114.0 yards rushing in his previous four games. Gore lined up against a Tampa Bay defense which was ranked 31st against the run and will be facing an Arizona run defense that is 28th in the league at 135.1 yards allowed per game. 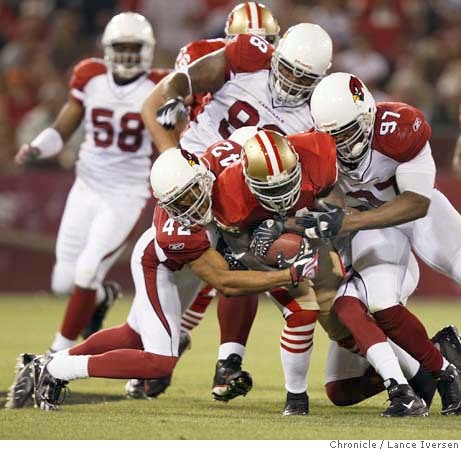 The 49ers swept the season series from the Cardinals in 2009 and are seeking their first three-game winning streak in the series since 2003-04. The Cards will look for force Smith mistakes, and look to keep Gore in check, but they are reeling and it won’t be easy. Look for the Niners to get back in the win column, as Mike Singletary will get this team ready and they will send the Cards further back in the division with a big Monday night win. 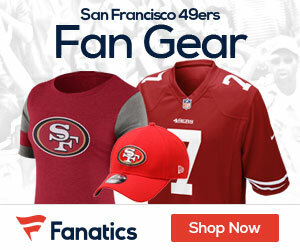 Be the first to comment on "Week 12 Preview – 49ers at Cardinals Monday night"